Watch out, there’s an Alpaca about! 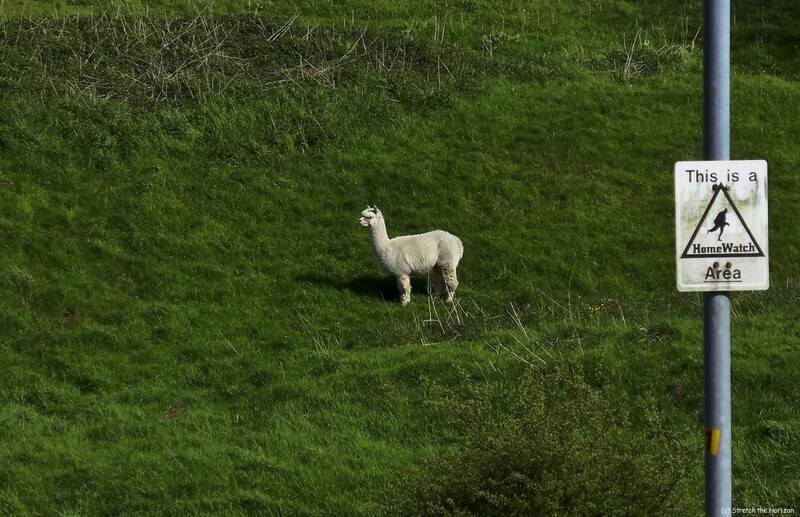 This Alpaca was spotted loitering on its own in a field in Royton (not the most exotic place in the world to find free-roaming, domesticated South American Camelids, I grant you) oblivious to the adjacent ‘Home Watch Area’ sign and its implications: can you imagine the bemusing telephone call to the Police from a concerned neighbour whose happened to catch a glimpse of this woolly mammal?! Cheers – taken down at the back of Faz’s house on Dogford road!